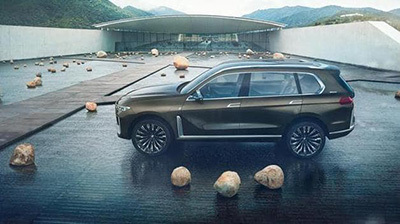 While BMW already has a good presence in the SUV market, they are now attacking the full-size luxury SUV segment with their brand new 2019 BMW X7. The 2019 BMW X7 was confirmed back in 2014. However, with so many different brands already competing in this segment, BMW decided to act. At this point, the new 2019 BMW X7 will be directly competing against the Mercedes-Benz GLS, the Lincoln Navigator, the Lexus LX 570, and the Cadillac Escalade. Let’s see what you can expect of the 2019 BMW X7. According to the German automaker, you can expect to see the new 2019 BMW X7 in showrooms in March. The German automaker already announced the price of the 2019 BMW X7. As we will see below, the 2019 BMW X7 will have two different versions and the price is, obviously, different. While the 2019 BMW X7 xDrive40i starting price will be $74,895, the 2019 BMW X7 xDrive50i starting price will be $93,595. Please notice that the destination charge of around $1,000 is already included in both prices. One of the things that you will immediately notice on the 2019 BMW X7 is that it has a lot of similarities with the BMW X5. 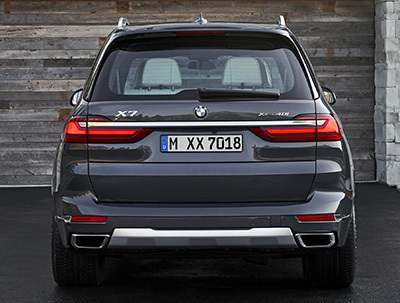 Nevertheless, you can expect to see a lot more features that make the X7 stand out. 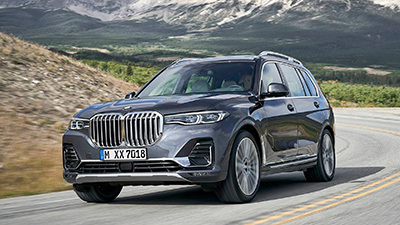 One of the things that we really like about the 2019 BMW X7 is the twin-kidney grille that is larger than on any other BMW. In addition, the shape is also different. The truth is that the automaker made the front grille of the 2019 BMW X7 taller which makes it seem narrower than it really is. In what concerns the headlamps, while the layout of the LEDs is the same that you can find on the BMW X5, the overall shape is quite different. After all, they are kind of incorporated with the front grille which makes the front fascia look wider. If you take a closer look at the side of the 2019 BMW X7, you’ll see that there is plenty of room for all passengers to enter and exit. In case you are considering buying the new 2019 BMW X7, you’ll be glad to know that you have siz different colors to choose from. In terms of the metallic paints, you can choose between Vermont Bronze, Arctic Grey, Mineral White, Black Sapphire, and Carbon Black with M Sport Package. If you prefer a non-metallic color, you can go for the Alpine White. As we already mentioned above, in case you decide to buy the 2019 BMW X7 you need to know that you have two different models at launch. The base option is the 2019 BMW X7 xDrive40i. 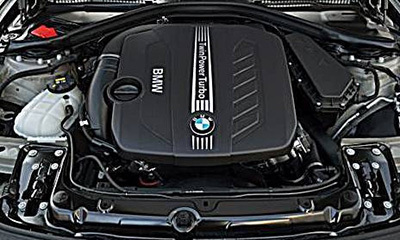 In this case, you can expect to find the 3.0-liter turbocharged inline-6 engine under the hood. This engine is able to deliver 335 of horsepower and 330 pounds per feet of torque. The higher trim available is the 2019 BMW X7 xDrive50i. In this case, the engine used is the 4.4-liter twin-turbocharged V-8 that is capable of delivering 456 of horsepower and 479 pounds per feet of torque. No matter which model you choose, the transmission is the same on both. The 2019 BMW X7 comes with a standard 8-speed automatic gearbox. As you are probably expecting, there is plenty of room inside the 2019 BMW X7. After all, the 2019 BMW X7 has three rows of seats. One of the things that we like about the cabin of the 2019 BMW X7 is that it includes the latest technology and safety features. So, you can expect to see the BMW’s latest display and control setup. 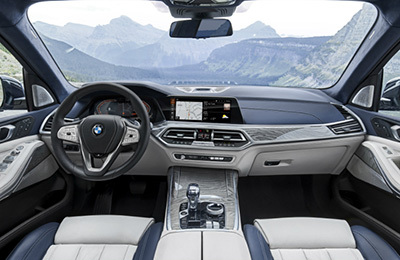 The driver of the 2019 BMW X7 will be able to enjoy the instrument cluster that comes in the form of a 12.3 inches screen. However, there is a second screen that has the same size and capabilities and you can find it at the top of the center stack. However, BMW didn’t forget about the passengers that come in the second row. The automaker added two additional touchscreens that allow passengers to be entertained during trips. In what concerns the audio system, the 2019 BMW X7 is also well served. 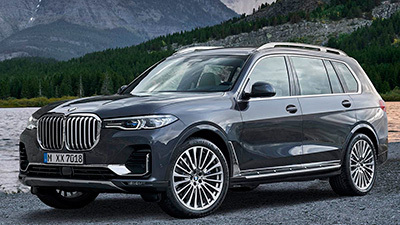 While on the 2019 BMW X7 xDrive40i base model, you will find a system that comes with 10 speakers, the 2019 BMW X7 xDrive50i model comes with the Harman Kardon surround sound system.